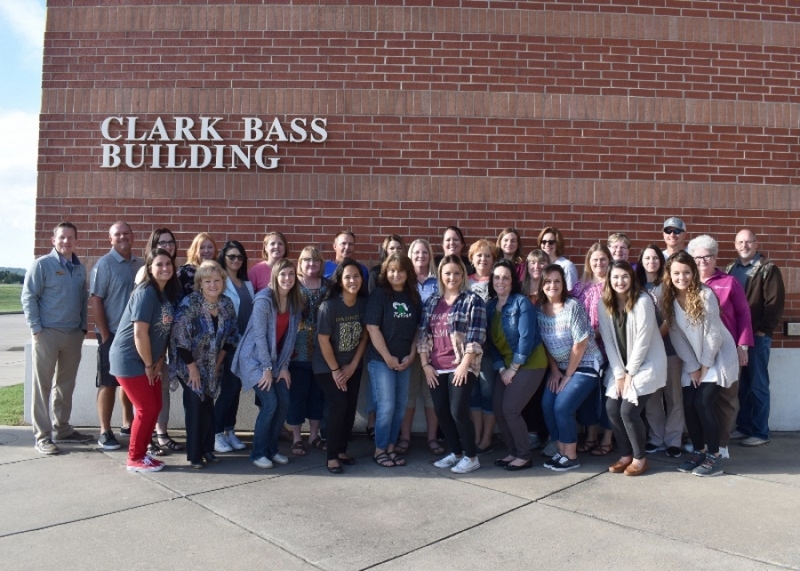 WILBURTON, OK (Oct. 5, 2018) – Twenty-eight area middle school math and science teachers recently participated in a three-day workshop sponsored by Eastern Oklahoma State College GEAR UP. The workshop was designed to help them integrate technology effectively and successfully into instruction. The beginners training was conducted by Texas Instruments (TI) Specialists Sandra Hocutt and Cassie Whitecotton. At the conclusion of the training, each teacher was presented with a TI Navigator system including 30 handhelds. In addition to the technology, TI will provide extensive professional development for math and science teachers in interactive, instructional technology infused math and science instruction. TI coaches will also visit partner schools to provide “just-in-time” guidance for teachers delivering math and science instruction. “The onsite and online professional development and coaching help educators learn how to use TI technologies as a core component of instruction,” said Spiegel. “It makes learning fun for students. The technology, training and coaching is provided by Eastern Oklahoma State College’s 2017 GEAR UP grant. The Gaining Early Awareness and Readiness for Undergraduate Programs (GEAR UP) is a federal initiative to increase the number of low income students who enter and successfully transition into postsecondary education. Eastern will receive over $17 million during a seven–year period to help students and educators in 39 partner schools. 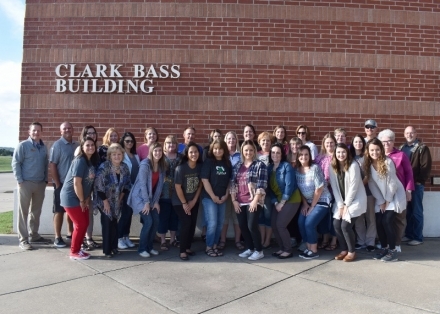 Attending the workshop were: (front row left to right) Cassie Whitecotton, TI Specialist; Kathy Ramsey, GEAR UP Administrative Assistant to the Professional Development Coordinator; Paige Lowder, Hartshorne; Jenneffer Parker, McAlester; Sherry Duncan, Rattan; Skylar Bell, Wilburton; Kammy Hall, Quinton; Teri Oliver, Eufaula; Michie Sokolosky, Buffalo Valley; Tiersten Fairchilds, Quinton; (row 2) John Spiegel, GEAR UP Professional Development Coordinator; Cory Pitts, Indianola; Jeanne Durrence, Clayton; Macey Savage, Moyers; Beverly Cochran, Harmony; Donna Baze, Rattan; Barbara Sharp, Stringtown; Pam Bailey, Eufaula; Sonya Costa, McAlester; Becky Graham, Savanna; Sandra Hocutt, TI Specialist; (back row) Holly Dean, Quinton; Jessie Snead, Harmony; Chris Countz, Hartshorne; Whitney Dixon, McAlester; Lacey Herring, Stringtown; Tandi Efurd, Eufaula; Lori Rippy, Eufaula; Pam Gardner, Coalgate; J W Stanley, Coalgate; and David Gibson, Buffalo Valley. Not pictured: Jacob Johnson, McAlester.